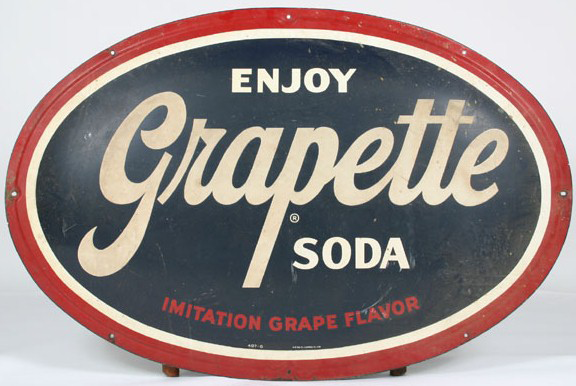 This is an oval Grapette Soda porcelain sign. This particular Grapette Soda sign is blue with white and red print. It reads, “Enjoy Grapette Soda, Imitation Grape Flavor” and features a red and white border.